Registration occurs on a first-come, first-served basis. The deadline for registration is one week before the first day of the course. If you are unable to register before the deadline, please email: training@faes.org or call 301-496-7977 for space availability. In order for a drug to get approved by the FDA for market in the USA, the sponsor must ultimately demonstrate the drug has: 1) a predictable exposure profile with dose, 2) a good safety profile, and 3) is effective at safe doses. Therefore, the pharmacology of a drug is essentially being reviewed by the FDA. 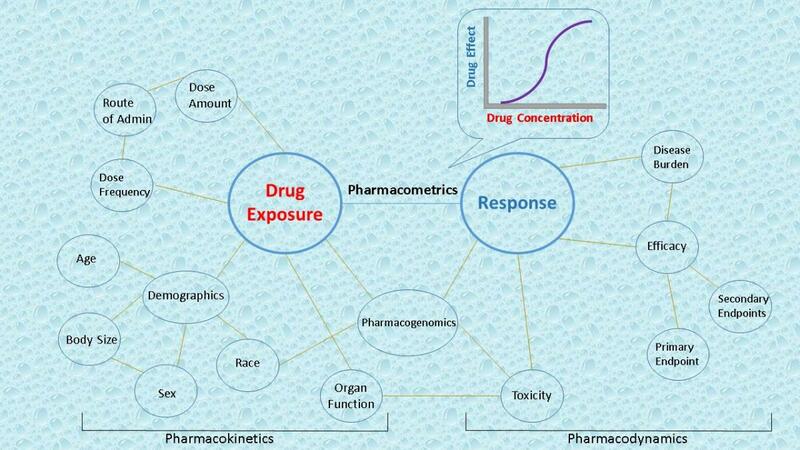 The ability of scientists to analyze drug exposure/response relationships is crucial to understanding what exposure amount will elicit the safest, most effective response, and ultimately what dose amount and frequency will produce the optimal exposure amount. Additionally, the ability to identify sub-populations that may produce differing exposure or response levels is key to providing as many subjects as possible a safe and effective dose. This quantitative exposure/response analyses, often referred to pharmacometrics, is key to making go/no go decisions both during clinical trials by investigators, and the FDA during the subsequent review period. Participants will learn basic pharmacology theory with introductory statistics using a popular open source software program (R Studio) that is capable of conducting pharmacokinetic (PK) exposure and pharmacodynamic (PD) response analyses from example clinical trial data. Ultimately, the framework of analyzing exposure/response relationships will be demonstrated in order to make go/no go decisions. 1. Clinicians and researchers interested in learning how to utilize freely available software to explore, visualize and understand drug exposure/response relationships, where responses include any clinical endpoint collected on a trial. 2. Clinicians and researchers interested in understanding and predicting the effect of different doses on drug exposure, and effect of exposure on a variety of clinically-relevant response endpoints (biomarkers). 3. Medical, pharmacy, dental, nursing, and lab-based graduate school students interesting in obtaining a deeper understanding of pharmacokinetics, exposure/response analyses, and a broad understanding of clinical drug development and the impact of pharmacometrics on decisions. Contains all notes, protocols, and reference material needed. No additional books are required. Although no grades are given for courses, each participant will receive Continuing Education Units (CEUs) based on the number of contact hours. One CEU is equal to ten contact hours. Upon completion of the course each participant will receive a certificate, showing completion of the workshop and 2.8 CEUs. 100% tuition refund or 100% full workshop credit is available for registrations cancelled 14 or more days prior to the start of the workshop. 50% tuition refund or 100% full workshop credit is available for registrations cancelled between 4 to 13 days prior to the start of the workshop. 3 days or less prior to the start of the workshop. A special rate is available to all BioTech Workshop attendees. This includes complimentary continental breakfast, guest room Wi-Fi and discounted $15 parking per night. Hotel is within walking distance of the training facility Reservations can be made online, see below.